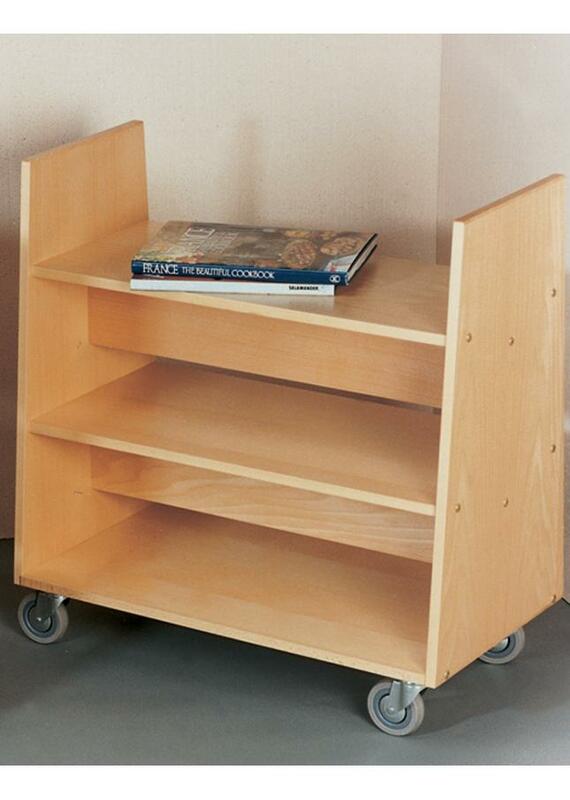 Double sided library unit with three shelves and 4 swivel 100mm grey rubber tyre castors. Available in 12 colours this trolley is constructed from 18/19mm high quality melamine-faced particleboard with PVC edges. 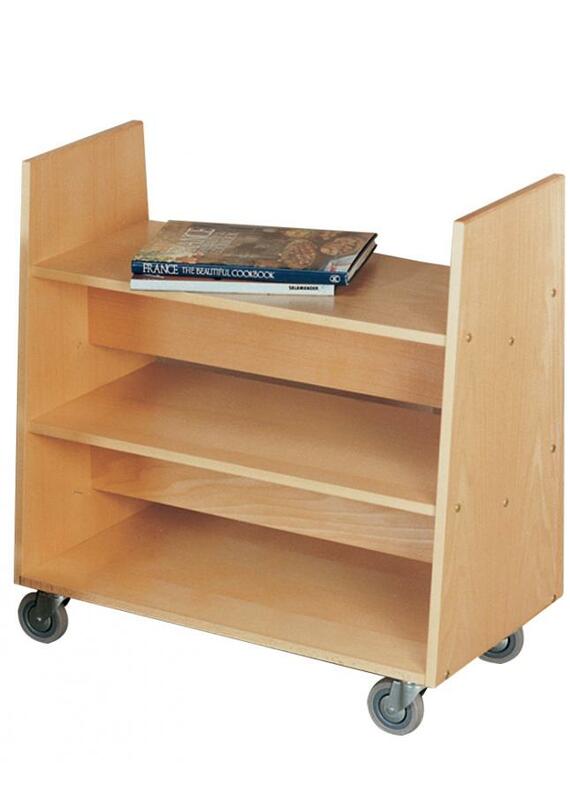 Ideal for school libraries this trolley is supplied for customer assembly.